From Pneumatic Sanders to Spray Booths and everything in between, DTC have been a trusted, reliable supplier for the production department at the Portsmouth based Camber headquarters. 1. How long have you worked with the Ben Ainslie team? What were you doing before then? 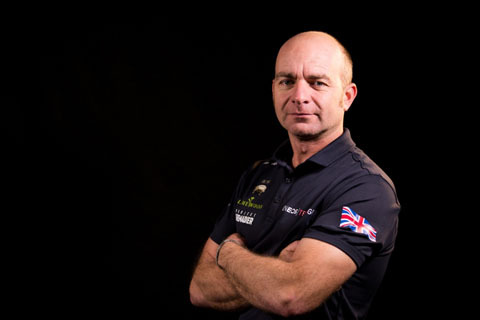 Since 2014, I joined Ben when he got involved with the Extreme Sailing Series. I have been working with him full time since joining the Americas Cup campaign to present. This is now my second Cup campaign with Ben. This is now my third British Americas Cup campaign, I was part of the 2003 GBR challenge. Prior to this I have a background in working on open 60s (mono hulls) and was with the Mike Golding team. Lots of years working with the extreme sailing series for OMAN sail. I have been a boat builder for 23 years and am a fully trained ship wright. 2. Are you a passionate sailor yourself? I grew up sailing Dinghies in Kent, mainly small catamarans and dinghies like lasers, toppers and hurricane catamarans until age of 18. Since becoming a boat builder it slowly lost its appeal, I’m working in and around boats all the time, not quite the same anymore! I now play squash, swim and enjoy a spot of fishing. 3. What kind of things do DTC supply the team with? 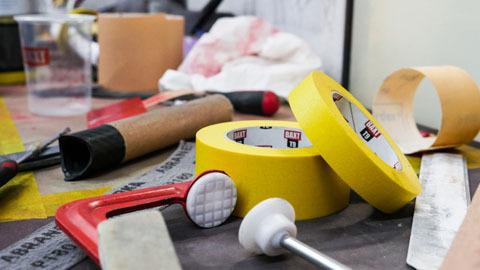 Everything from all the consumables to air tools, hand tools, dust extraction, spray booths. 4. How have composites/materials changed the production process in the America's Cups? Over the generations of the Americas cup things have changed a lot. From the wooden boats back in 1851 through all the different composites- glass fibre, pre-preg and infusion processes for building the tooling, boats and components. 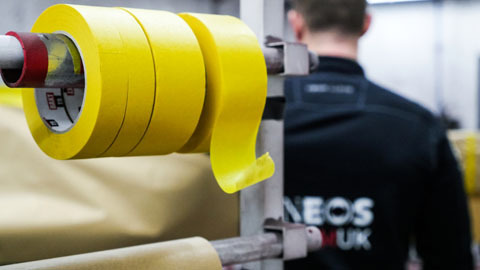 Different types of carbon fibre now in use, single strand, pre–preg (frozen), different cores (between layers) nomex core, foams – closed cell foam for bending into shapes etc..
Everything is engineered to the lowest tolerances to ensure we get the lightest possible components. 5. What kind of challenges does working with carbon fibre present? Having the right equipment is critical to the everyday use of carbon fibre, good extraction is essential. The right abrasives make for a more time/cost efficient finish and using the new range of CARBONite abrasives is giving us much better finishes then we have ever achieved previously. 6. How much pressure are you under to get the first race boat ready? We already have a test boat and have been sailing in the Solent over the past 5 months. Now begins the long process of building our first race boat ready for the Americas Cup World Series which is expected to begin in Italy, October 2019. 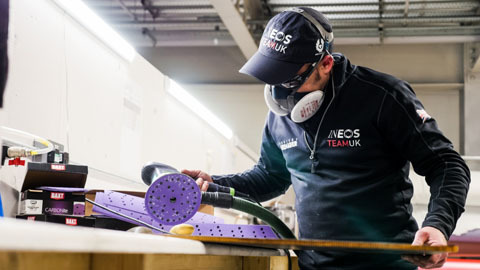 Many hundreds of hours go into designing and producing Americas cup boats. The pressure is always there to make sure that you have a fast boat first time round as to ensure we are competitive come the start of the Americas cup in 2021. 7. What are you excited to see in the 2021 race? 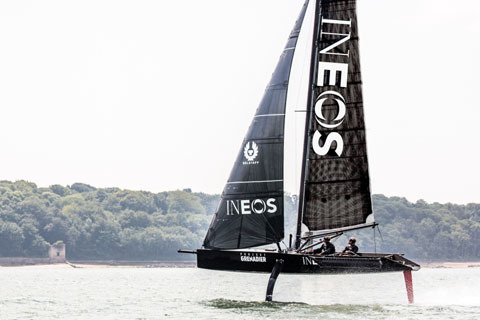 Foiling monohulls are very much in the infancy of design and production. No one really knows how far you can push the design to produce the fastest boat, it’s going to be very exciting to see all these ideas come to life. Although there are certain one design rules connected to the Americas Cup, I’m sure we will see some very different looking boats on the start line. How fast we are compared to everyone else, is one question you always ask yourself when building boats. You never know how fast you are until you line up with another competitor. Innovation, we really are recreating the wheel everyday with these boats. Lots of things we are designing have never been done. You don’t even know if half of it will work until we get it in the water and try. We’re one close knit team pushing for the same goal, to produce the fastest race boat to win the Americas Cup for our country, in the Ameirca's Cup, there is no second place!